This is a free public performance at each respective venue made possible by Chicago Park District’s annual Night Out in The Parks series. 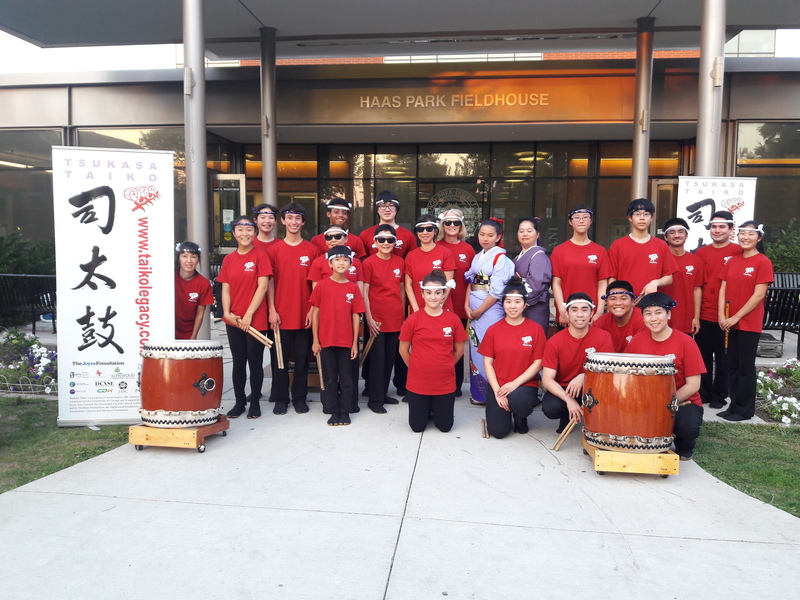 The Tsukasa community ensemble performers will deliver a fun, energetic taiko performance and demonstration fit for an audience of all ages. This performance will also feature an introduction to the world of Japanese classical dance and a short presentation/performance by Grand Master Yoshinojo Fujima and select members of Shubukai dance troupe.